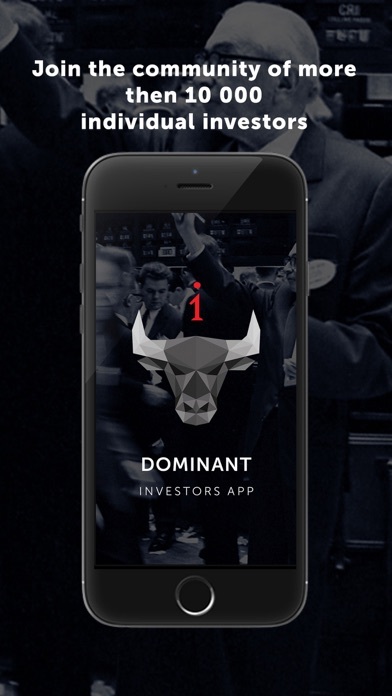 Dominant Investors app is analyzing and evaluating more than 7,500 thousand companies on the US stock exchanges and cryptocurrency market and select assets with the most solid fundamental and technical parameters. Now you do not need to spend your time researching the market, analyzing news and studying the fundamental indicators of companies. This application is granting you access to the list of stocks and cryptocurrencies with the greatest growth potential and specific buy points with the optimal level of risk and income. You just need to select an asset that matches your investment goal and then wait for the trading notification to make the transaction. Dominant investors unites more than 10,000 individual investors operating on stock exchanges and the investors who work in the cryptocurrency market. Ask questions and chat with the right people. Subscribe to investment ideas and share yours. Choose your partners and mentors amongst those who invests more successfully than you! Learning investing by using real money is too expensive! Take advantage of the unique opportunity this application gives you - get 100,000 virtual dollars and put together your own real investment portfolio of stocks or cryptocurrencies. Use ideas, tips and trading signals of professional investors and portfolio managers to achieve your financial goals. ** The evaluation of assets is carried out according to the method, proved effective by Daniel Kahneman, the winner of Nobel Prize in Economic Sciences. I like the simplicity and promptness of putting together my investment portfolio via this application. You can test almost any investment strategy without losing a cent. This is really a very useful tool for individual investors, 5 out of 5 would recommend. The market does not always give you opportunities. It was very important for me to find people who are more successful in managing their capitals than myself. Interactions with such people provide tremendous benefits and insights into the stock market. I'm mighty glad I found this app and I surely recommend it to all individual investors. I was always intrigued by the possibility of witnessing how other investors distribute their capitals and now - with the help of this brilliantly simple and very convenient application - I can finally do it! I ought my best thanks to the creators of the Dominant investors app. Recently, the trading signals are being sold by anyone who feels like it... but how do I know if the one who offers the trading signals is truly a successful investor? Thanks to the Dominant investors app, it is really possible now! 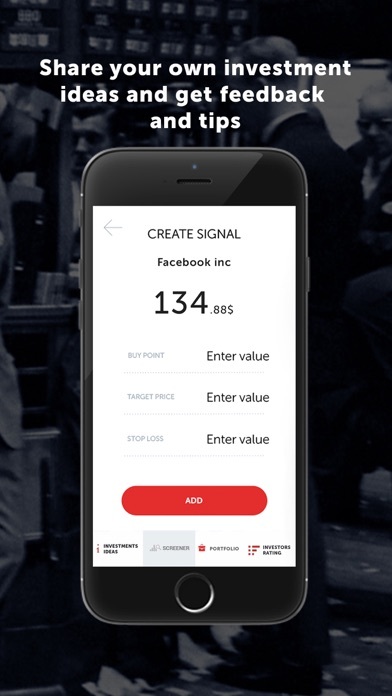 You can select and receive signals from those investors who really know how to make money in financial markets. The awesomest app! In its new version, the developers provided for almost everything I could imagine for this application to become no. 1 for all individual investors. I highly recommend it. 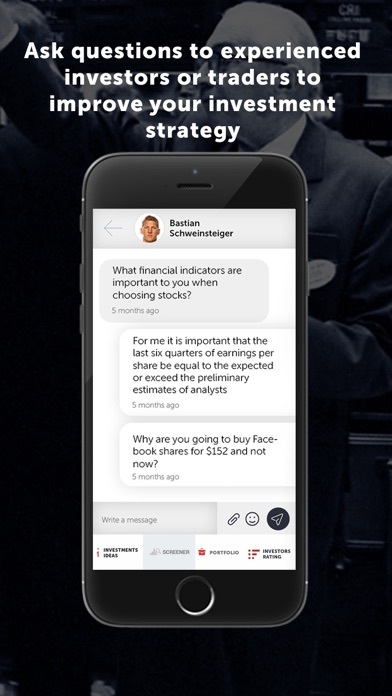 If I need to track down more data about some stocks than most other investors have, I open my Dominant investors app. 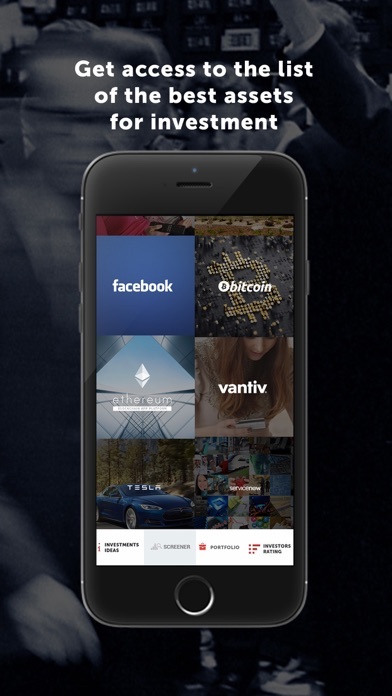 This app allows you to put together an investment portfolio of stocks and cryptocurrency. This is a great tool for individual investors, which I highly recommend! This application's new functionality is amazing! 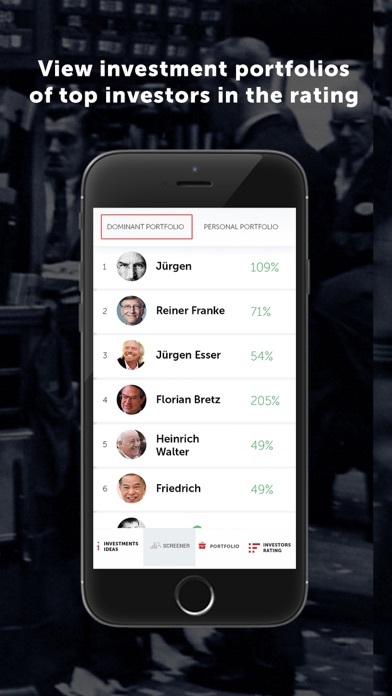 You can view the other investors' investment portfolios and subscribe to their trading signals, as well as communicate with them and ask questions of interest.Truly amazing app! Definitely recommend! Stay away from this app and developer!!!! The app does not allow stock screening, does not allow me to navigate other functions, and the website has stale stock information and does not have any “written instructions” $99.99 paid is a rip-off. I had to escalate my dispute to my credit card company. Don’t waste your money on this application! I have emailed the app developer three times to request a refund, he keeps playing games to keep my money for his useless app! He is not an honest service provider!! Don’t get this app. I thought I was getting a very insightful, in-depth look at the market but that is not the case. It has nothing special warranting $100 other than its very complex chart making system which is not easy to use at all. If you’re JUST LOOKING FOR DATA AND RATINGS, DO NOT BUY! Can’t do anything with this app. Can’t add portfolio, can’t search for stocks. Not sure what the point is.. can’t add 0 stars so u get 1! So after couple of weeks all we see is automated fake review names changed from real names to actual user names with 5stars and REAL people negative reviews. Instead of spending all your energy on creating fake reviews how about you try to focus on how to make this app useful!! HAHAHAHA LOVE THESE FAKE REVIEWS! So I added every single recommendation to the portfolio and it’s DOWN OVER 15%!! Whoever is claiming they are making money is plain LYING!! You are lucky you are from corrupt country and don’t live in the US!!! I just bought and downloaded the apps. And what I see is data and chart. I don’t know how this apps help me to put my money to invest. There’s no YouTube video to explain the feature and use of the apps. Anyone can help how to use this app? I’m confused. I can’t believe I paid $50 for this garbage If you thinking about buying it don’t they should have a free trial before they take people‘s hard earned money. You have to invest in the best companies to make big money and thanks to this application you can see these market leaders as plain as the nose on your face. It exceeded my expectations. I am very grateful! Coherent, Inc +122 % , Advanced Energy Industries, Inc + 106 % , Grand Canyon Education, Inc + 80 % and this is only a small part of the successful transactions recommended by this application. I highly recommend it to all medium-term investors. When you trade in the stock market, you usually focus on a few dozen shares that are selected in your sheet and can not cover a wider section of companies. 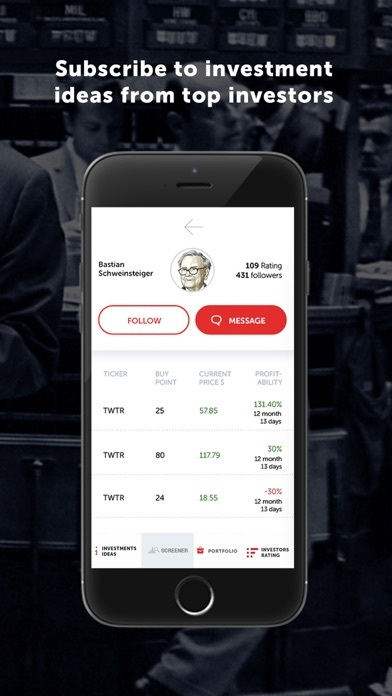 Thanks to this application, I always see new market leaders and I do not worry about missing large moves of strong stocks. I thanks to the creators of this incredible useful trading and analytical tool! I urge all serious investors to join the community of Dominant investors through this application and create the most powerful financial group ever created to make money in financial markets honestly and professionally! Thank you for making it possible. I have been trading for 5 years and have never looked at other markets, but thanks to this application I saw the incredible profits that the market of crypto currency gives. I am very pleased that I have significantly expanded my investment portfolio and received huge profits this quarter thanks to this app. I highly recommend it! Thank you. To say that this application is just useful is just to offend its developers! This app is the best of the best. This app is the best of the best. I am very thank developers and all community of Dominant investors for this incredible financial miracle. I was very impressed, when I found out how the analytical system of Dominant Investors works. These guys are real professionals who use the best analytical tools and trading systems available on the market. I appreciate this job! this app is priceless! No matter how attractive the deal is, you should always set the stop. This is the most important rule that this application teaches and thanks to which I managed to avoid large financial losses in the market. 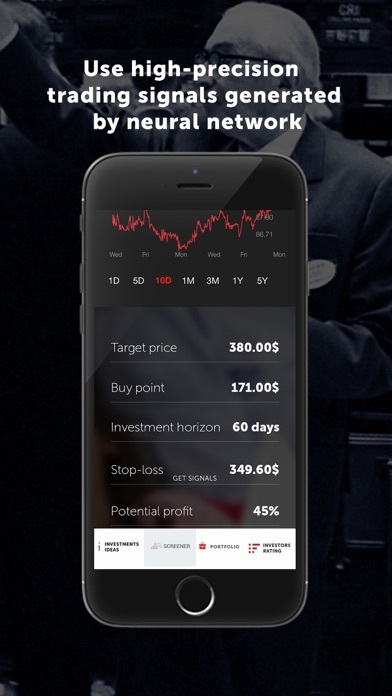 I recommend this application to investors and traders who want to become professionals in their field. Love this app so much as it become part of my daily life. I open this app more than facebook or any news app ;) it has all technical analysis indicators n provide all features required for trading. Best part is that it provide maximum information in one glance thus making use of my phone screen to give food to my eyes. Many thanks to developer ! This app has great functionality and all the charts and graphs one could ever need to understand a stock’s positioning in the market. 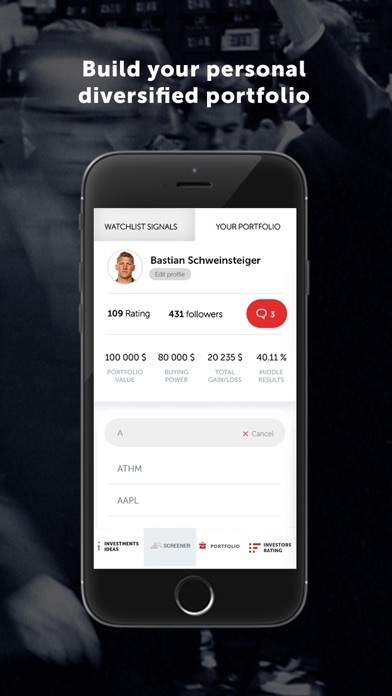 The graphs and reporting features, the ability to establish and easily track all of your holdings, the clear displays of important data make this app a “ must have” to track your portfolio. Why didn’t I see it before. I think this app should be No. 1 in the app! I want to become a professional trader. So I think this is the best application that can be created for this. Thank you! I LOVE this app. With a minimalistic design that makes this app very intuitive and understandable. Excellent customer service, very accurate market analysis and excellent stocks. 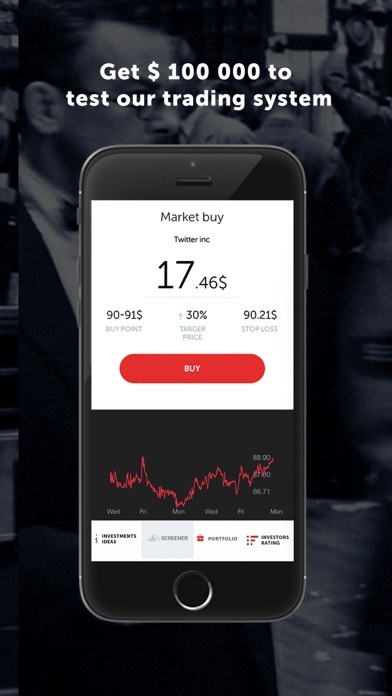 As I already said I LOVE This app, if you are a investor, I highly recommend it! The best of the best applications for investors in the stock market! Thanks to the community of Dominant Investors, I learned how to use 20 new indicators for technical analysis of shares. I'm grateful to the community and application developers. I love this app! it shows me assets - acorns, which eventually turn into oaks and make me really rich. This makes it the number one application for many people who started using it. When you trade in the stock market, you usually focus on a few dozen shares that are selected in your sheet and can not cover a wider section of companies. Thanks to this application, I always see new market leaders and I do not worry about missing large moves of strong stocks. I stopped losing money and started making money in the stock market. Now my goal is to get into the rating of the best investors of this community and help others to create financial well-being. change our world for the better every day. Thanks to the developers and the community of the application Dominant investors. Thanks to the developers of this application! I want to say that this app completely turned my thinking about the technique and philosophy of investing.